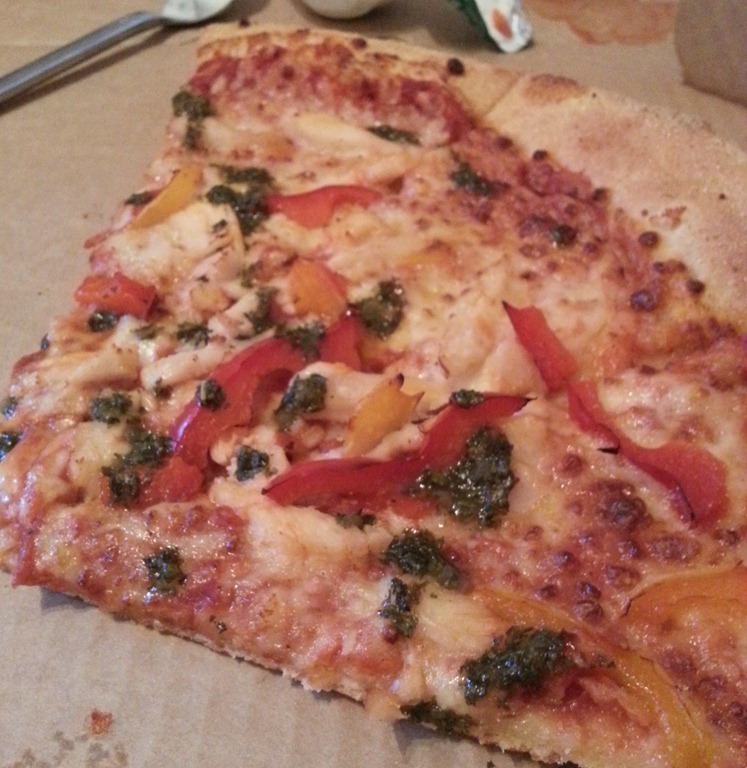 Weekends are the times when we have a naughty treat, probably once or twice a month and being huge fans of pizza, we were delighted to be offered the chance to review the new addition to the Dominos menu, the Chimichurri™ Pizza. This flavoursome addition was created by competition winner Maria Tyrrell, who submitted her entry into the ‘People’s Pizza’ competition hosted on ITV’s daytime show, This Morning. Maria, created the pizza using flavours from her Argentinian heritage which resulted in her being a clear winner and the pizza made it’s way onto the Dominos pizza menu nationwide. Now in our household we love the strong clean flavours of a classic Chimichurri so we were looking forward to our pizza delivery. We ordered a large Chimichurri™ pizza (10 slices) on the classic base along with a couple of tasty sides to accompany it. 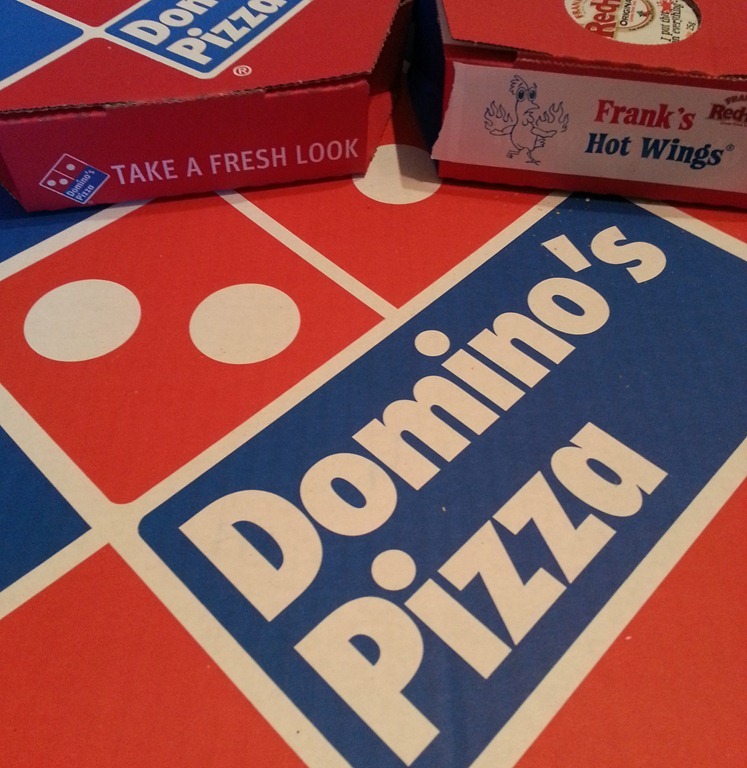 Service from Dominos has always been pretty spot on every time we have ordered and this time was no exception. The pizza arrived piping hot and I was not disappointed, the pizza was topped evenly with Chicken breast strips, red and yellow peppers topped with a drizzle of Chimichurri sauce. I’ve had bad experiences in the past with Pizzas being overly greasy with toppings being clumped together with some slices not even having a topping grace them. With the Chimichurri™, the toppings were generous and also still very fresh. 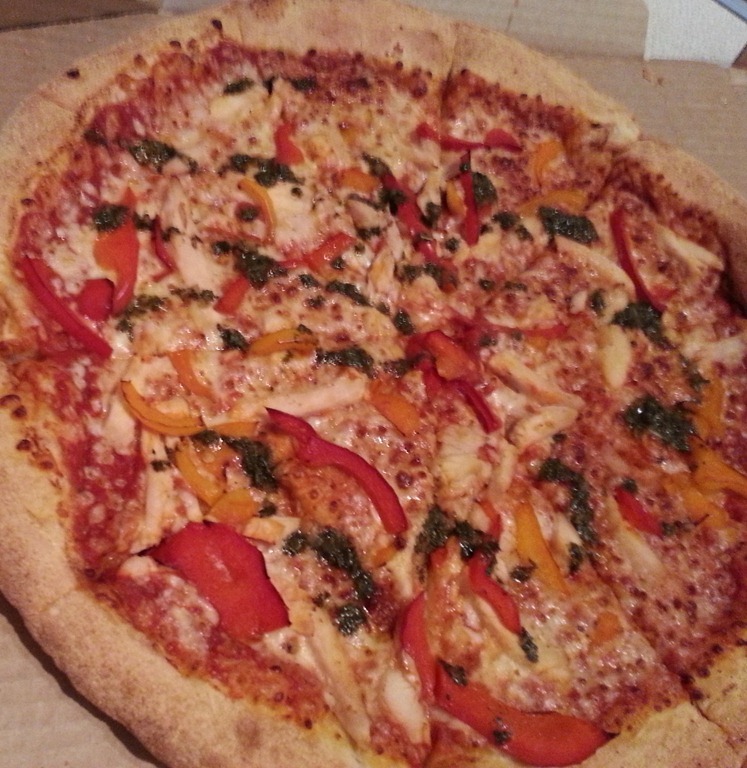 The pizza was enjoyable and pleasant, and the Chimichurri drizzle was a welcomed addition and gave the pizza an extra depth of flavour against the classic tomato base sauce. I would certainly order it again as it was a crowd pleaser in our house. Generally we order separate smaller pizzas as we can never decide on the same pizza combination but the Chimichurri™ is something that we can all agree on. I was provided with a voucher for the cost of the pizza for review purposes but the extra sides were paid for by ourselves. All thoughts and words are our own.